with root you can unzip in usr/share/icons . 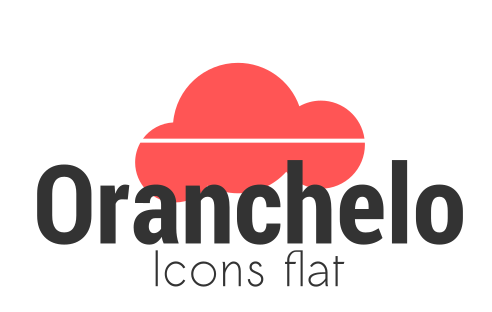 oranchelo also has a version for android, I invite you to try if you wish. Do you test anything yourself before you offer it to others here? Why does this icon-theme need a script, when a simple unpack should be enough? That doesnt change the fact, that you really need to test the things before making them available, especially if they are not yours. If this happens by chance again, we have to remove the product, so please take this as advice, thank you. When I ran the installer it deleted every file and directory my ENTIRE HOME directory and everything off my external hard drive that was connected at the time. WTF!?!?!?!? You can't just run scripts from the internet. Read through them and if you don't understand what they do. Don't run it. You're kidding me right? I don't naively execute random scripts I find on the internet, nor does this one in particular seem as such. I am very familiar with cloning sources from guthub and installing them from there. Even so, maybe the error is on my end and I made a mistake, or maybe there is a real issue there but regardless of all that I think the developer would still want to know of peoples experiences with their product albeit good or bad. Now it is true there are very few people in this world have such a great wealth of deep knowledge and understanding of open source technologies that you have clearly put on display here with your comment , that I only wish there we're more people like you in these forums spreading your vast understanding of all things linux and making this world a better place! Thank You! It very well could have been my error, but figured I'd still bring it to your attention! Beautiful icon theme, thank you. Looks great on my kde neon plasma desktop. The only thing is, when I click the volume control from the system tray there are no icons but question marks as device icons. Is it something I did wrong? +Thnx for great theme makes my nint cinnemin look great. Can you add the icon for Teamviewer, ubuntu cleaner, Software manager and libreoffice. In addition, the problem of the folder-icons that caused them to weigh too much has been solved. A large number of new and exclusive icons for deepin have been added, although there are still some that will be added in the following updates. Within the re designed icons I highlight those of the wps-office, these have changed completely to offer greater integration with the rest of the icons. - deepin-movies (flatpak and common package). - usb-creator (only change of color). - shotwell (only change of color). - deepin-appstore (only change of color). - deepin-boot-maker *linked to* usb-creator. - deepin-voice-recorder (flatpak) *linked to* audio-recorder. - deepin-Screenshot (flatpak) *linked to* gnome-screenshot. 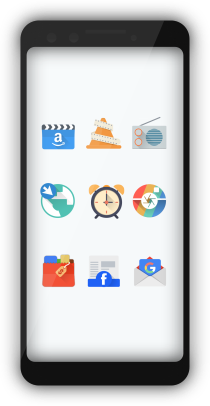 a new set of icons called "beka" has been added, and another one with the classic oranchelo folder icons. + Thnx for great theme.